In order for a condo to be eligible for an RHS loan, it must appear on the FHA, VA, or FNMA approval list. Please see the Condos Guideline for more information. With USDA Housing Programs, 3.4 Million Rural Homebuyers Own Their Future. via Kentucky USDA Loans | Rural Housing Loans Kentucky. Eligible Cities are Back!A Continuing Resolution has passed allowing RHS to refer back to the 2000 census data for eligible areas. This will allow the following eight Kentucky cities to remain eligible until January 2014: Bardstown, Burlington, Elizabethtown, Georgetown, Independence, Nicholasville, Shelbyville, and Shepherdsville. This is good news as implementation of the 2010 census data has been put on hold again. The United States Department of Agriculture has created a special home buyer opportunity for Americans that live in rural areas. These home buying programs were designed to increase homeownership amongst lower and middle income families that live in smaller sized cities, towns, and remote areas. What makes these loans so special? No Down Payments – USDA loans are one of the only home mortgages that allow someone to buy a home without putting any money down. In fact, the only other way someone can finance 100% of their home purchase is if they are in the military or a veteran. Even someone with perfect credit, long job history, and plenty of savings/assets can not qualify for 0 down on a home loan. This is a unique and very special aspect of USDA home buyer loans. Lower PMI costs– Private Mortgage Insurance, also known as “PMI” is much lower on USDA loans than FHA or conventional mortgages. This can save you a lot of money. Reduced Interest Rates The interest rates are lower on USDA loans, which results in lower payments, and plenty of money saved overtime. Would You Like to Get Prequalified or Apply For a USDA Loan Now? The best way to find out if you qualify for a USDA loan is to speak with one of our USDA specialists. It is easy to find out if you are eligible and usually only takes a few minutes. There are some basic qualification guidelines that the Department of Agriculture has set up which will help you have an idea if you can get a USDA loan. Property Eligibility – The home you want to finance with a USDA loan must be an eligible property. You can not buy any home you want, it must be a designated property. You can look up homes in certain areas, or you can search by address on the USDA website. Job History – Similar to all other mortgage loans, a two year work history is required. You must show that you have been consistently employed for the past two years straight in order to qualify for USDA financing. Income Limits – You must not make over a certain amount in order to receive a USDA mortgage. This amount varies by location so you will need to look up your specific counties income limits. DTI Ratio– One of the main ways which determines if you will be approved or not is your debt-to-income ratios. While you must not make too much money, you also must not have too much debt. Your debt-to-income ratio is how much monthly debt you have (only those debts which show on your credit report are counted) compared to your bring home income. So if your household income is $4,000/month, and your currently monthly debts (excluding rent), combined with your new mortgage payment are $1,500/month, this would equal a 37.5% DTI ratios (this was calculated by taking $1,500 and dividing it by $4,000). Credit Score – The minimum credit score varies from lender to lender, but most want to see at least a 640 credit score for you to be approved. What Are the USDA Programs That Exist? The USDA has two primary loan programs that exist. This includes direct loans and guaranteed loans. Direct Loan – These are loans made directly by the government. You do not have to go through a mortgage lender, but instead you apply with the Department of Agriculture. The direct loan is named the USDA 502 Direct Loan. Guaranteed Loans – Guaranteed loans are those processed and closed by a USDA mortgage lender. This program is called the USDA 502 Guaranteed Loan. The USDA backs the loan, but does not issue the loan themselves. The difference between these two, aside from who provides the financing, is eligibility requirements. The USDA 502 direct loan is geared more towards lower income families that may have issue obtaining a loan from a mortgage lender. The USDA 502 guaranteed loan allows for more borrowers, including those with more income, to get a USDA loan. Some applicants may be able to get a direct or guaranteed loan. When you speak with a mortgage representative, they will help you identify which programs are available to you. You can then compare loan terms of any mortgage you qualify for. It is very easy to apply for a USDA loan. In fact, we can prequalify you over the phone. The best way to apply is to request a free USDA loan consultation and a loan specialist will contact you. All we need for an initial pre qualification is for you to share some basic information and we can inform you of your eligibility. Are USDA loans only for farms and agricultural properties? This is a very common question and something that many people wonder about since it is the Department of Agriculture that backs these loans. It is actually the complete opposite though. USDA loans are meant for residential homes in rural areas, not agricultural or farmland. Can you buy a farm with a USDA? USDA loans are strictly for residential properties, so no farm or land that is used for agricultural purposes are allowed. In simplest words, the property can not be income producing. If USDA loans are for rural properties does that mean they are not available near cities? Surprisingly this is not the case either. 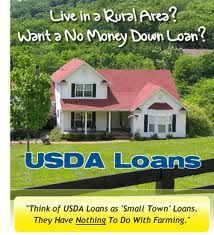 Another misconception about the USDA home buying program is that the loans are exclusively for homes in remote areas. There are actually plenty of eligible homes just outside of various urban/suburban areas. 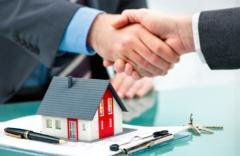 The best way for you to get an idea of what type of home you can buy, and where, is to use the USDA property eligibility search. Can I buy an investment property with a USDA loan? No, you may only use a USDA loan for a home that you personally occupy as the owner. Can I finance the loan costs into the loan? Yes, you can finance the closing costs and the upfront mortgage insurance into the loan. This means that you do not pay the fees out of pocket at closing, but instead it is added to the loan amount. It is important to note that you will then be paying interest on these fees if they are wrapped into the mortgage. Just some “food for thought” when you decide if that is something you want to do. How much is mortgage insurance on USDA loans? There are two types of mortgage insurance on USDA loans. This includes both upfront mortgage insurance and what is called the “annual fee”. The upfront amount is 1.00% of the loan amount. This can be added to the loan amount (as described in the question above). The “annual fee” is divided into your monthly payments. This fee is 0.35% of the loan balance (recalculated each year). So the amount goes down as you pay your mortgage. The annual fee of 0.35% is divided into 12 and added to the monthly payments. This is cheaper than FHA MIP (mortgage insurance premiums), as well as the PMI amounts on VA and conventional loans. The good news is you do not have to be a first time buyer. The only stipulation is that it must be your primary residence. So you must not currently own a home to be able to get a USDA loan. What is the loan limits? How much can I borrow? 30, 2012 until September 30, 2013 for Kentucky Rural Housing Service (RHS) housing programs. This change will significantly affect the processing and underwriting of USDA loans. Bullitt County Kentucky USDA Home Loan and Rural Housing Loans for Bullitt County KY.
via Bullitt County Kentucky USDA Home Loan and Rural Housing Loans for Bullitt County KY.